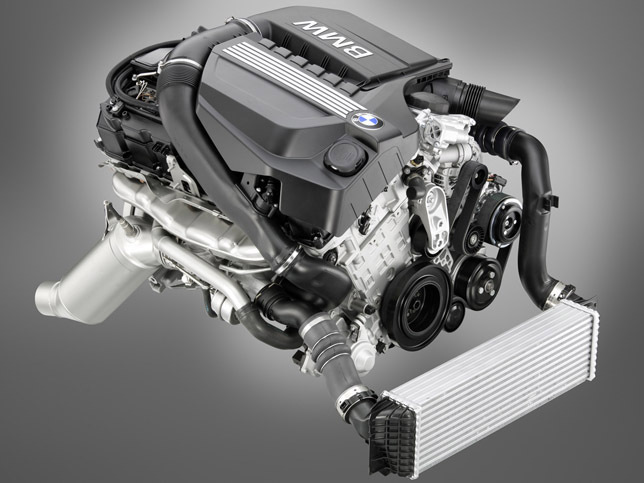 With all the critical acclaim BMW’s most recent turbo inline six the N55 has received it isn’t surprising to see that BMW’s tuning arm, BMW Performance, has already had the engineers tweak out more power. The stock N55 features a significant number of BMW Efficient Dynamics technologies, such as direct injection, Valvetronic and a single dual scroll turbo. This is the first factory tune we are aware of for an engine featuring Valvetronic, which essentially replaces the conventional throttle butterfly with a electrical mechanism that controls the amount of lift of the individual intake valves on each cylinder. The complexity of the system had aftermarket tuners baffled for sometime. BMW Performance doesn’t need to hack the system, they tune the code from the ground up to be factory stable. The advantage of Valvetronic is the elimination of the pumping losses and air-flow disturbance caused by a conventional throttle butterfly creating instantaneous and precise engine response. There are of course emissions and efficiency improvements as well. In the end the system is a win-win and when you can get more power out of an engine without sacrificing longevity, efficiency or drivability we are all for it.